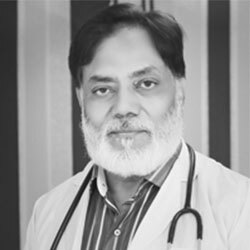 Dr. Afzal Hussain has a quality fame in orthopedic consultancy. His extraordinary surgical skills have made him unique and outstanding in his domain. Patients suffering from Polio and Cerebral Palsy rely on him and prefer his astounding talent for treatment. This is also because of his work on rehabilitation. As a guest speaker, he has been appeared in numerous national and international organizations to express his aptness. He prioritizes the health of each patient. He does his best to offer the ultimate care. His treatments are based upon non-invasive technologies which are the prime grail of KKT. He has treated a number of patients successfully and has strengthened his name as one of the supreme members of KKT’s stunning team.